Heute habe ich diese Karte nach einem Sketch auf Nicola's blog (My Paper World) gestaltet. Schaut doch mal bei ihr vorbei. Sie macht wunderbare Karten! 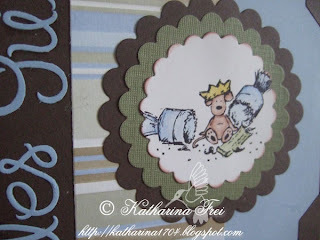 Today I did a card for a sketch on Nicola's blog (My Paper World). Check it out, she does wonderful cards! Wow, wow, wow!! Super card Katharina and will definately visit the link you gave for the sketch. .. if you want me to make you one, just give me a shout! I LOVE your card Katharina! Your colouring is fantastic, love the colours you chose,and you know that I just love scalloped circles! Die Karte ist wunderschön,tolle Farben und super coloriert. These are really lovely! Love how you use the die cut wording. It really makes it look great. Die Karte ist einfach nur hammermäßig geworden! Absolut toll!